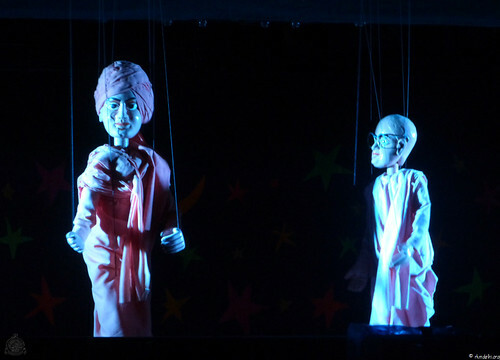 To mark the 150th Birth Anniversary celebrations of Swami Vivekananda, Ramakrishna Mission, Delhi produced an excellent Puppet Show on the life of Swami Vivekananda. 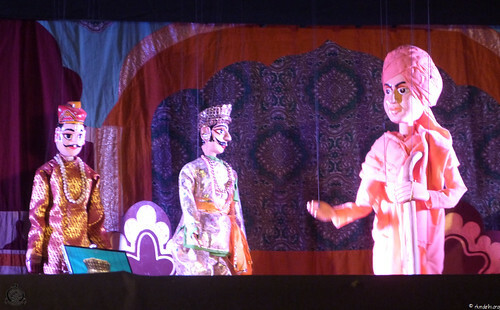 Udaipur’s famed Bharatiya Lok Kala Mandal, designed and produced the show as a running story featuring episodes of Swami Vivekananda’s life. 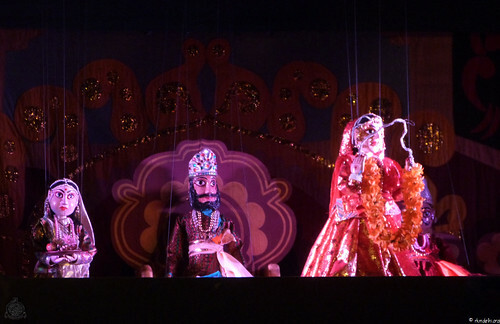 Great audio-visual effects and an engaging script make this show a great watch. 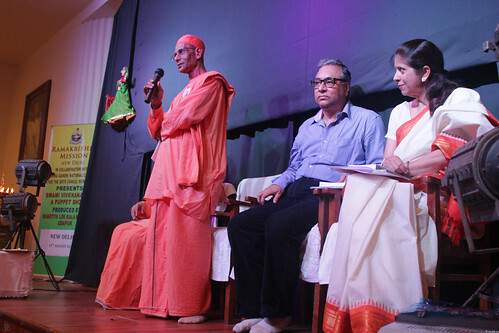 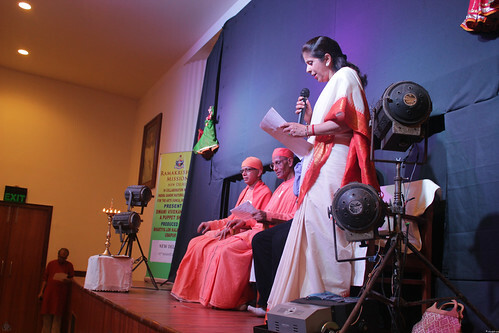 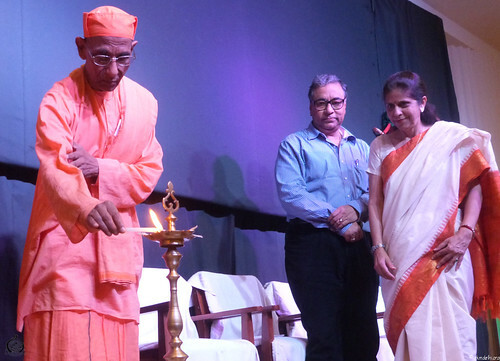 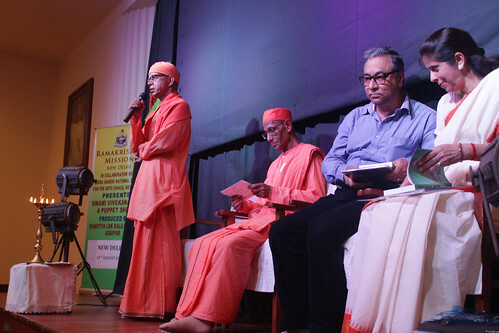 Revered Swami Suhitanandaji, General Secretary, Ramakrishna Math and Ramakrishna Mission, Belur Math, inaugurated the first show, held on 11th August, 2013 at the Vivekananda Auditorium of the Ramakrishna Mission, Delhi. 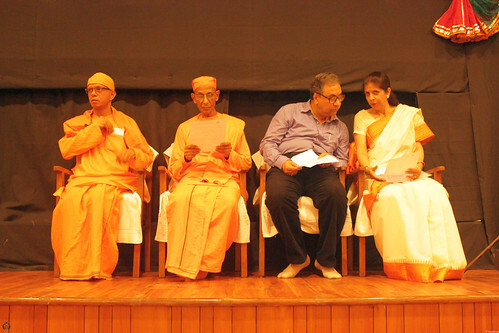 Shri Jawahar Sircar, CEO, Prasar Bharati and Mrs. Deepali Khanna, Member Secretary, Indira Gandhi National Centre for Arts (IGNCA) were among the invited dignitaries who participated in the inaugural function. 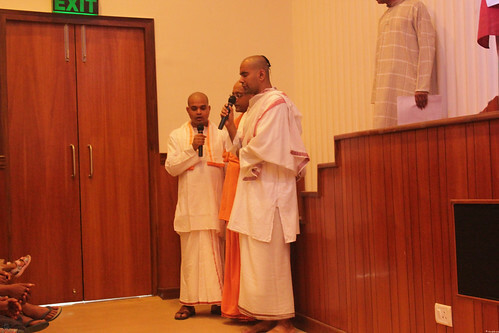 Swami Shantatmanandaji, Secretary, Ramakrishna Mission, Delhi briefly explained the elaborate process that went into the making of this show. 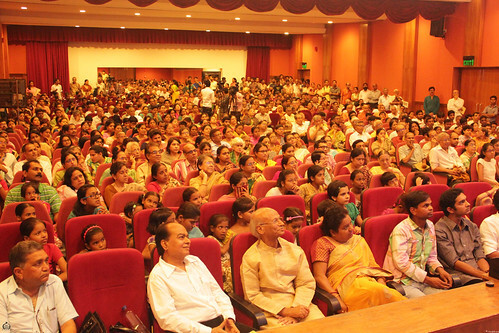 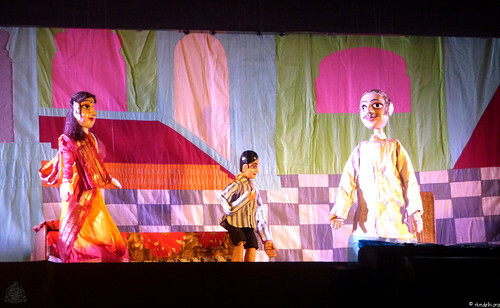 The vast Vivekananda Auditorium was packed to the maximum and many could not watch the show. 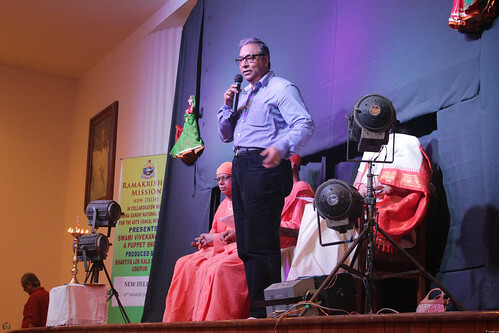 Consequently, the show was re-played on the next Sunday, 18th August, 2013, again, to a packed house.